Sorry Stephen - Still no picture, but AM getting double messages... on this list since Tuesday and on PTG-L since yesterday afternoon. 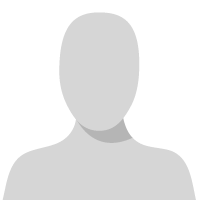 Will let User Help know. Looks like you have a plate crack :-) These things do happen, and often they are unexplained. Wouldn’t that part of the plate be under extreme compression? Weird. It might seem that theoretically the area of the crack would be under compression. OTOH, has anyone seen a crack that is open on the bottom side of a strut, closed at the top? Not that the pull is happening beneath the level of the strut, where the strings are. On the one hand, the string tension should be pulling the tail of the plate upward, and rotating the front of the pinblock upward. But since the struts are above the plane of the strings, and the plate is firmly attached to the rim and pin block, the distribution of forces through the cast iron is probably more complex than that. My guess would be that there was some defect in the casting, and that perhaps a microscopic hairline crack formed during cooling. Over time it grew a bit, unnoticeably, and then, when the balance between the forces and the material of the plate passed equilibrium, it grew suddenly. But it's the kind of thing we are unlikely ever to explain with any assurance. The fact is that the plate actually moves under tension, as we can see by behavior of the wedge between the horn and the belly rail support (lower the tension and it falls out, add tension and it is held tightly), and by what happens when a string breaks (neighboring strings go sharp), or when you lower tension to a portion of the strings (remaining strings that are untouched go WAY sharp). Wouldn't that part of the plate be under extreme compression? Weird. Do you know when this crack occured? From your first post: "Pitch has always remained consistent as UNC- Greensboro music building has an extremely reliable climate control system. Piano has been moved several times but always by same professional piano moving company. No pitch change in area around cracked area. I tune this instrument every week." OTOH, has anyone seen a crack that is open on the bottom side of a strut, closed at the top? Not that the pull is happening beneath the level of the strut, where the strings are. Yes, I have. I forgot the name of the grand. It was built in the 1890's. I quickly looked over the piano and didn't see anything on the top of the plate struts. 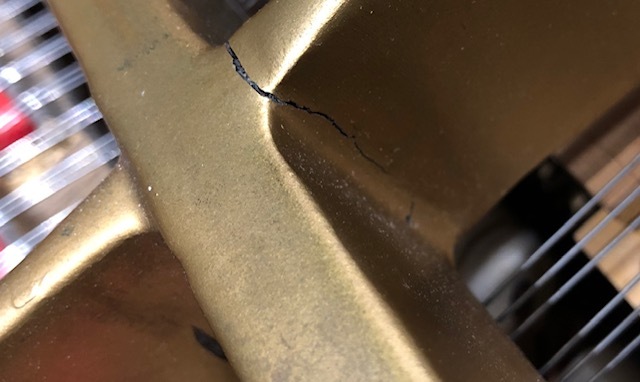 However, as soon as I put my tuning hammer on A440, I looked underneath my right hand and noticed a pyramid-shaped crack 1 cm below the top of the plate strut around D5. I advised the customer to dispose of the piano. I wish I took a photo at the time. That 1 cm was holding on for dear life. Pyramid shaped crack? What does that mean, a double crack coming to a point? I made this image by taking a photo of my grand piano plate strut Fred. I simulated the crack by using GIMP (Graphic Image Manipulation Program) That's the best I can do without the real photo. Is this image sufficient? -- Paul. A crack that was opened up that much? Amazing! Never seen anything like that. Cracks in tops of struts are tensile and mean that the strut was unable to counter the string tension or a botched plate installation. Those tend to get worse and lead to plate failute. Cracks on bottoms of struts appear on many Bechstein grands, probably due to the pinblock rotating downward. Those tend to be stable and pianos like that last for decades. 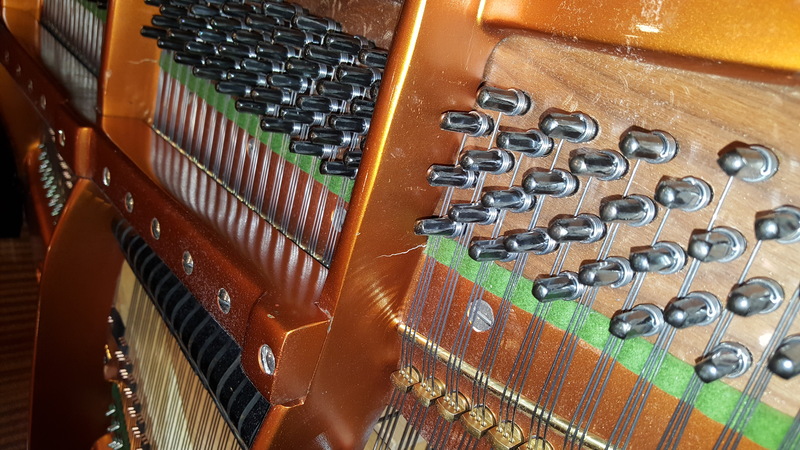 I am keeping a close eye on a Bosendorfer with cracks on the bottom of the struts, at the edge of the open pinblock. Is this what you mean? Yes, these cracks on the bottoms of struts seem to affect pianos with open face pinblocks the most (or only). When I was the staff technician at the University of Nebraska, there was a Steinway M that had a similar crack in the plate, but it was the top-most treble strut. The piano was very stable and caused no problem with stability in spite of the crack. But eventually I had to decided whether to rebuild the piano or dispose of it. The piano needed restringing and action rebuilding. I had a trusted rebuilder, who repaired the crack almost invisibly and I was able to keep the piano in the stable of university instruments. I heard a rumor that there was a period when Steinway plate installers at the factory were cavalier about plate installation. To get a tight fit, they were inclined to force the plate into position which must have introduced enough twisting to eventually create a crack. But that's only hearsay. The crack pictured in the post is exactly how I would expect a crack at that place in a plate to look. The string bearing over the capo results in upward pressure thus the crack is open at the top. On a strut nearer the bridge I would expect to see the widest opening of a cracked strut at the bottom of the strut. This is because the strut is being bowed up by the strign tension.